As a lottery winner, there is probably an abundant amount of things you would want to purchase. From paying off bills to buying that dream car, the list is endless. For one Georgia man, his dream purchase could land him behind bars for life. Ronnie Music Jr., 45, is facing a maximum sentence of life in prison after pleading guilty to investing part of his lottery winnings into a crystal methamphetamine drug ring. 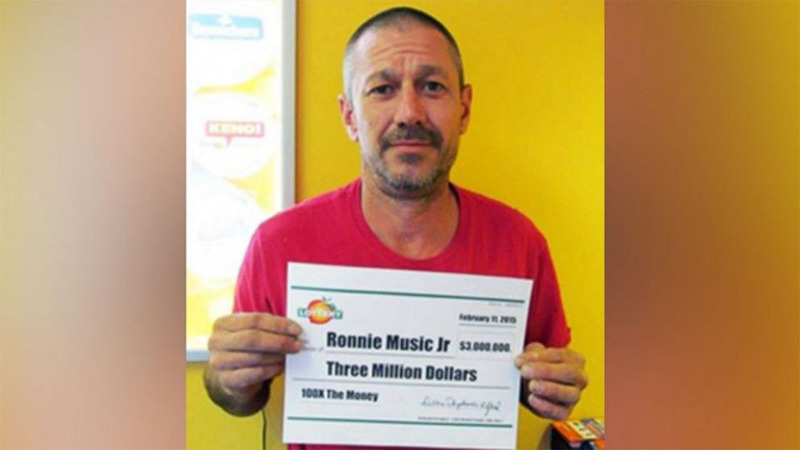 In 2015, he won $3 million in a Georgia scratch-off lottery game. Officials with the Department of Justice say Music Jr. conspired to possess and distribute kilograms of meth throughout Ware County, Georgia. Through the investigation, authorities were able to identify Music Jr. as the source of the methamphetamine. "Defendant Music decided to test his luck by sinking millions of dollars of lottery winnings into the purchase and sale of crystal meth," U.S. Attorney Ed Tarver said. "As a result of his unsound investment strategy, Music now faces decades in a federal prison." Investigators seized over $1 million worth of methamphetamine, firearms, thousands of rounds of ammunition, multiple vehicles and over $600,000 in cash.